Bob had met Rita in the mid-1960s, when they were both living in Trenchtown, one of the poorest neighborhoods in Kingston, Jamaica. She was a teenage single mom with a hell of a voice, and he was a local celebrity looking for a singer to help back up his group. The Wailers, as they named themselves, were in the process of creating a new musical form, based on the Afro-Caribbean rhythms of ska and, more recently, rocksteady. They called it reggae, and its hard-driving rhythm, spiritual component (Rastafarianism) and lifestyle (ganja, positivity, humility, social responsibility) were about to go global. 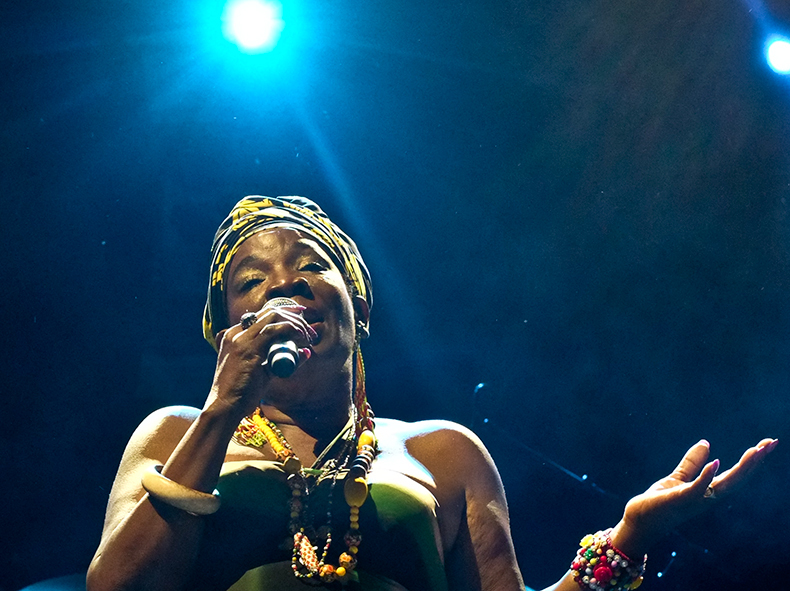 He recruited Rita to join the Soulettes (later the I-Threes), the Wailers’ backing vocalists. Unlike Elvis, the Beatles, the Stones or Dylan, whose encounters with widespread fame happened almost immediately after they started recording and while they were still in their early 20s, Marley’s ascension to superstardom was gradual. But Bob had full faith in his genius. So did Rita. That confidence got them through the late ’60s and early ’70s in Trenchtown. It was a time when Marley’s early Wailers records with Peter Tosh and Bunny Livingston were beloved by Jamaicans and some international music critics but just about no one else, and Rita was helping to keep the family afloat with nursing gigs. And the family continued to grow, with the addition of David “Ziggy” Marley in 1968. By 1976, Bob was on the verge of making history, as artist and activist, as Jamaica’s great preacher of love and tolerance, with his wife and creative partner by his side. He had split with Bunny and Peter and, with Blackwell and Island’s support, had gone solo, with tremendous success. After years of remaining under the radar on the world stage, his sound had caught on with international audiences by way of Eric Clapton’s cover of the epic gangster ballad “I Shot the Sheriff.” Then Bob properly introduced himself to non-Jamaican audiences with “No Woman, No Cry,” an aching, joyful plea by a boy from Kingston’s Trenchtown ghetto to his girlfriend, imploring her that everything was gonna be alright. He might as well have been singing to Rita. And then, on a quiet night at Marley’s compound on Hope Road, which for the past couple of years had served as the base of operations for his life and work, a small group of men broke into Bob and Rita’s house and shot them. Bob was hit in the arm. Rita caught a bullet in the head. Two days later, both of them took the stage for Smile Jamaica, a concert organized in support of Jamaica’s progressive prime minister, Michael Manley. They were supposed to play one song. Instead, Bob, Rita and the Wailers performed for 90 minutes. Marley’s ascent began in earnest during the mid-1970s, with the release of Natty Dread, Rastaman Vibration, Exodus, Kaya, Survival and Uprising, all masterpieces. For much of this time, Marley was fighting a losing battle against cancer. In 1981, he traveled to Germany for a last-ditch effort at alternative therapy, which failed. He ended up passing away in Miami at just 36. He never made it home to Jamaica. Rita stood her ground, fought back and won. For the past 34 years, Rita, now 69 and battling health issues, remains her husband’s most passionate advocate. 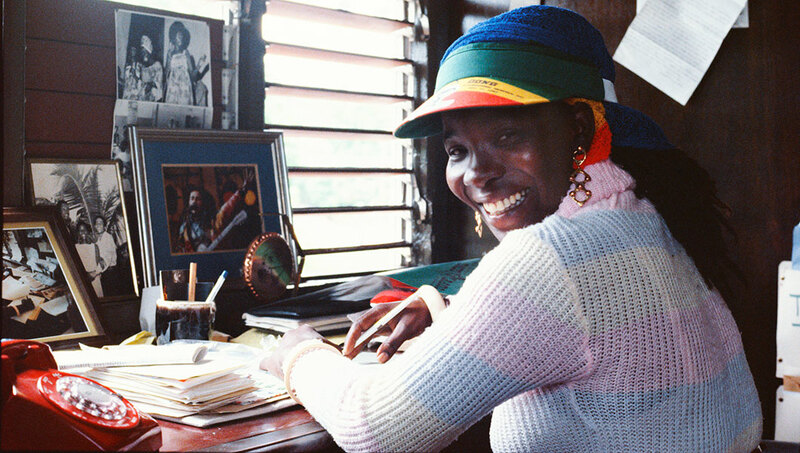 Thanks to her and her children’s efforts, Marley’s commitment to peace, social awareness and the power of music continues to live on via a well-organized network of nonprofit foundations and scholarship funds. His children, many of whom live within shouting distance of each other in Miami, have followed her lead. 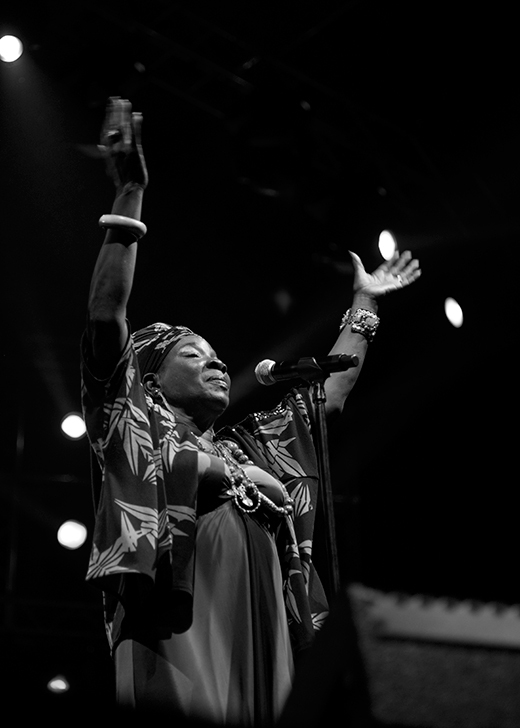 Ziggy, Stephen, Damian and Cedella are all established musicians in their own right, and most of the Marley children are active members in the many businesses and foundations their mother founded.